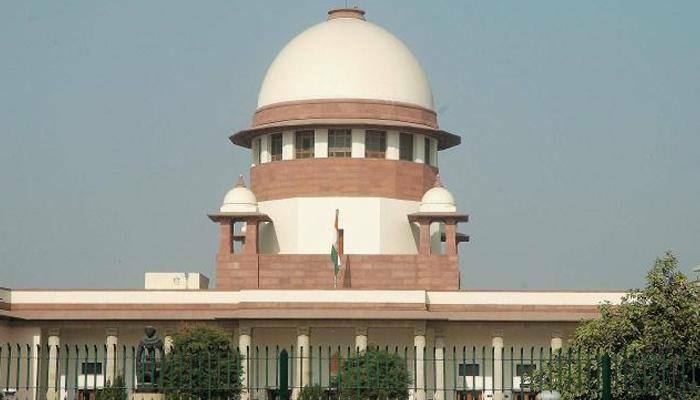 NEW DELHI: The Supreme Court is likely to pronounce its verdict on Thursday on a batch of petitions challenging various notifications including on control of services and power of Anti-Corruption Bureau (ACB) in the ongoing tussle between the Delhi government and the Centre. A bench of justices AK Sikri and Ashok Bhushan had on November 1 last year reserved its verdict on the petitions challenging the notifications issued by the Centre and the Delhi government. During the hearings, the Centre had told the apex court that the Lieutenant Governor (LG) has the power to regulate services in Delhi. The powers are delegated to the administrator of Delhi and the services can be administered through him, it had said. The Centre also said that unless the President of India expressly directs, the LG, who is the administrator of Delhi, cannot consult the Chief Minister or the Council of Ministers. On October 4, last year, the Delhi government had told the apex court that it wanted its petitions relating to the governance of the national capital be heard soon as it did not want “stalemate to continue in administration”. The Delhi government had told the top court that it wanted to know where it stands with regard to the administration in view of the Constitution bench verdict of the apex court on July 4. The five-judge bench had on July 4, last year laid down broad parameters for governance of the national capital, which has witnessed a power struggle between the Centre and the Delhi government since the Aam Aadmi Party came to power in 2014. In the landmark verdict, it had unanimously held that Delhi cannot be accorded the status of a state but clipped the powers of the Lieutenant Governor (LG), saying he has no “independent decision-making power” and has to act on the aid and advice of the elected government. On September 19, last year, the Centre had told the apex court that administration of Delhi cannot be left to the Delhi government alone and emphasised that it has an “extraordinary” position by virtue of being the country’s capital. The Centre had told the court that a five-judge constitution bench of the apex court had categorically held that Delhi cannot be accorded the status of a state. The Centre had contended that one of the basic issues was that whether the Government of National Capital Territory of Delhi (GNCTD) has the legislative and executive powers so far as ‘services’ were concerned. “Delhi has an extraordinary position as it is the capital of the country,” it had said. It said that the national capital houses several institutions of vital importance like Parliament and the Supreme Court and foreign diplomats also resides here. Chief Minister Arvind Kejriwal had been at loggerheads with incumbent LG Anil Baijal and his predecessor Najeeb Jung. Kejriwal had accused both of them of preventing the functioning of his government at the behest of the BJP-led central government.